For some, driving across bridges is thrilling. For others, it’s a nightmare they have to face on nearly every road trip. Bridges give drivers a mix of emotions, with some even going as far as to hire a service to drive them to the other side. If you’re in the United States and have a fear of heights, rest assured, you won’t have to face any of the world’s five tallest bridges. 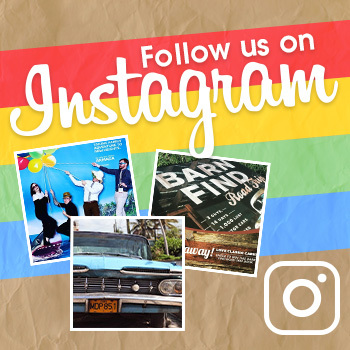 In fact, the tallest bridge in the United States — the Golden Gate Bridge — was the only bridge to make the top 30, coming in at number 15. Stretching across the River Tarn gorge valley in southern France, the Millau Viaduct is the tallest bridge in the world. It is a cable-stayed bridge, meaning it uses cables to support the bridge deck from several tall towers, as you can see pictured above. With its peak at 1,125 feet above the ground, cars have been making their way across the four-lane, 1.5-mile bridge since 2004. 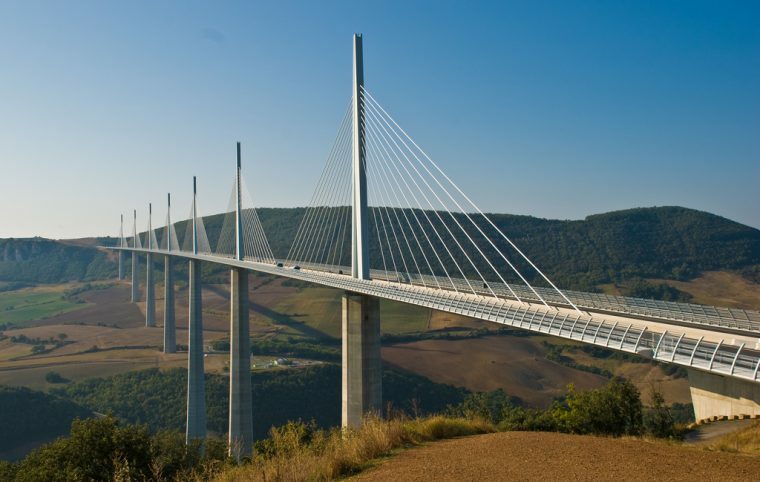 In addition to being the tallest bridge in the world, the Millau Viaduct is also the tallest structure in France. 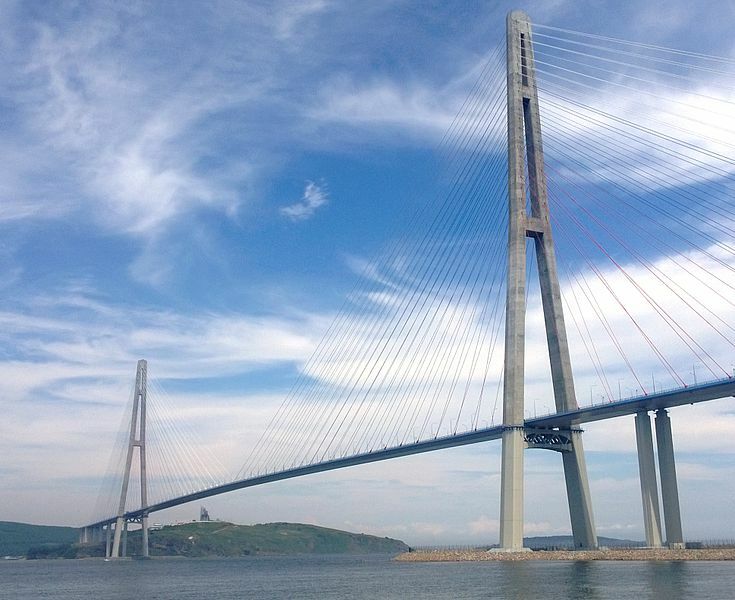 Towering 1,053 feet above the Eastern Bosphorus Strait in Russia is the Russky Bridge, transporting drivers from Vladivostok to Russky Island. The bridge first opened for operation in 2012 for a summit being held on the island. While the Millau Viaduct clearly holds the title for the tallest, Russky Bridge takes home the award for the longest cable-stayed suspension bridge, spanning nearly 2 miles. 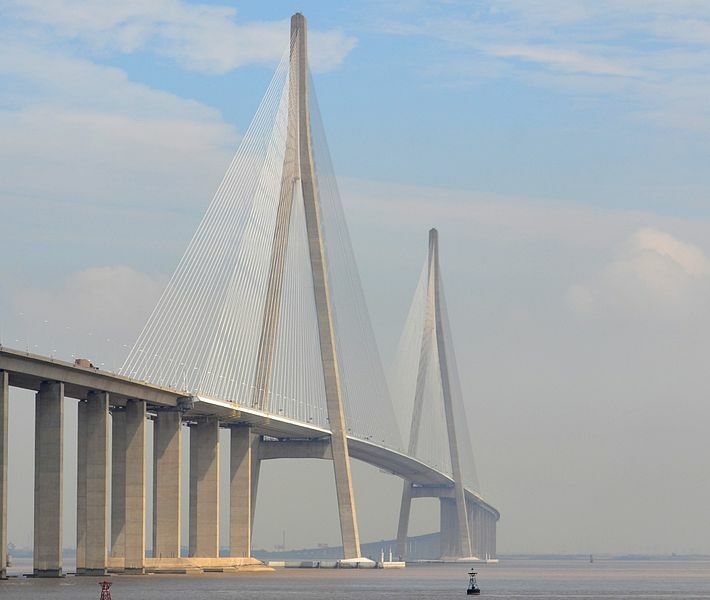 Opened in 2008, the Sutong Bridge is located in Nantong, China. It sits 1,004 feet above the Yangtze River, joining Nantong to the city of Changshu. Another cable-stayed design, the Sutong Bridge stretches just over half a mile. It was considered the longest cable-stayed bridge in the world until 2012, when the Russky Bridge opened to the public. Built of a different design than its taller counterparts, the Akashi-Kaikyo bridge in Japan is the tallest and longest suspension bridge in the world. 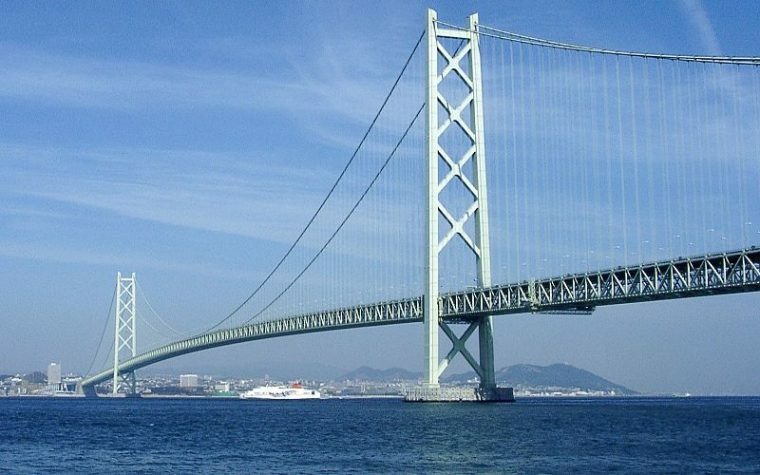 The bridge sits 979 feet above the Akashi Strait, spanning nearly 2.5 miles. Frightening weather conditions hit Japan on a regular basis — hurricanes, tsunamis, and earthquakes — so it was important for the Akashi-Kaikyo Bridge to be a strong, resilient structure. The bridge opened in 1998, and engineers included additional support systems underneath the road and in each tower, allowing the bridge to sway with the wind and avoid damage. 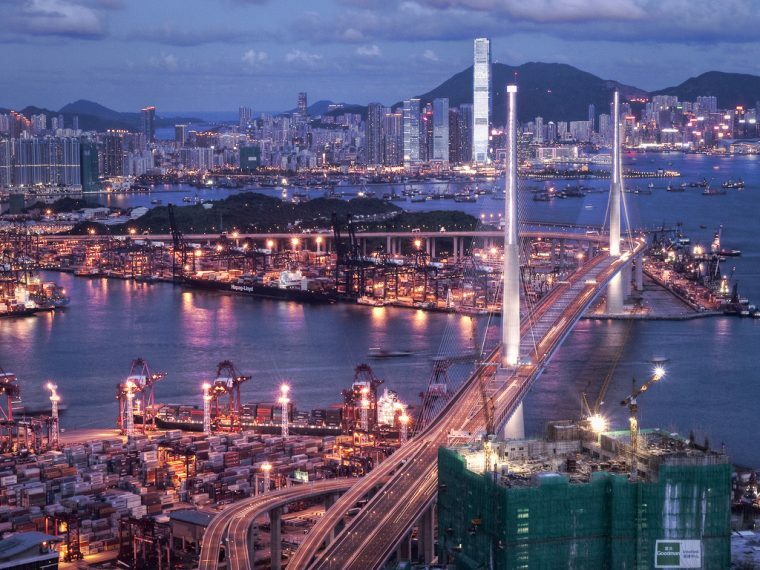 Last on our list is the Stonecutters Bridge in Hong Kong, standing at 978 feet tall. When it opened in 2009, it was the second-longest cable-stayed bridge with a span of just over half a mile (3,340 feet), sitting right behind the Sutong Bridge. When the Russky Bridge opened in 2012, the Stonecutters Bridge moved to third place. It connects two islands in Hong Kong — Nam Wan Kok, Tsing Yi island and Stonecutters Island — by stretching across the Rambler Channel. Car Shopping: Should you buy or lease?